We are engaged in export, import and trading of Precision Bearings. These are widely used in various industrial machinery and various automobiles. Our range offers excellent performance even in extreme conditions. 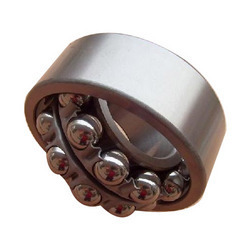 We also specialize in offering our clients with a qualitative range of Self Aligning Bearings. These are widely used in tractors, commercial vehicles, and combines. We offer these self aligning bearings in varied sizes, speeds, ratings, and dimensions. Our range possesses self aligning features that helps reduce misalignment caused due to the machining and installation of the shaft. The Clutch Release Bearings offered by us are widely used in automobiles for controlling clutch conditions associated with the misalignment of components. 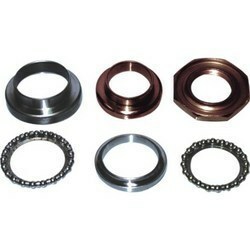 These clutch bearings allow the engine as well as the gearbox to mantle and dismantle after releasing pressure. Moreover, we offer these clutch release bearings in varied dimensions depending upon the forces and speeds that these are supporting. We are one of the renowned names in the industry that offers a qualitative range of Steering Bearings. These are procured from reputed vendors in the industry and are fabricated from superior quality hard steel. Our range of Steering bearings is made available in standard as well as customized specifications as per clients' requirements. These are ideal for use in steering assemblies and clutch assemblies of vehicles. Moreover, our range is widely acclaimed by our clients for features such as durability, cost-effectiveness, and sturdy construction.